After the American revolution the Magdalen Islands were granted to Sir Isaac Coffin, who only once visited his American possessions ; this was in 1815. 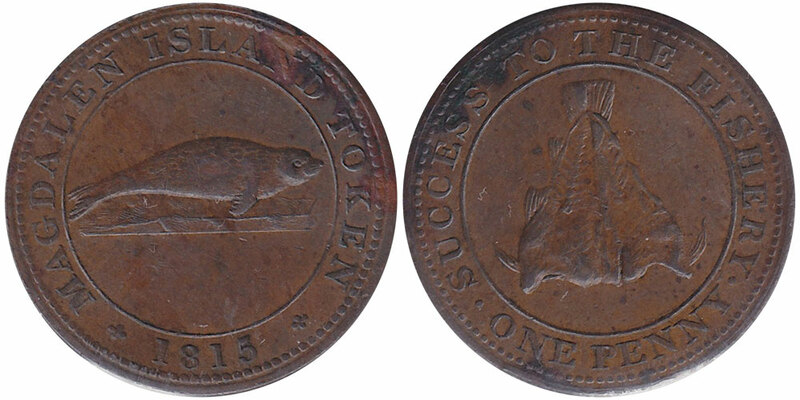 Before starting he ordered a large number of these coins and a coining press from Sir Edward Thomason, of Birmingham. 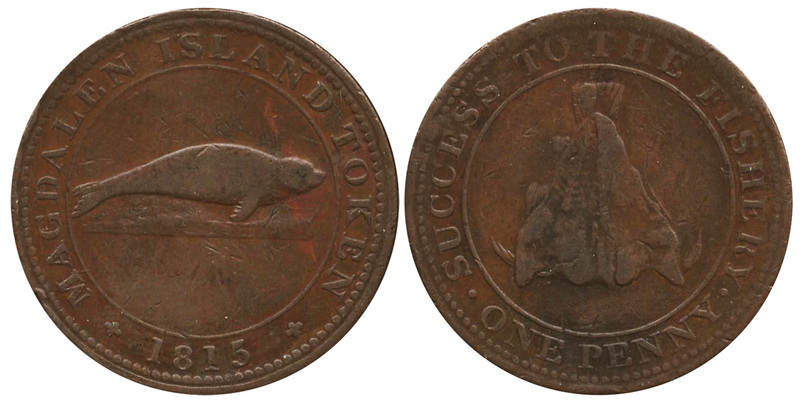 These he brought to the Islands and distributed the coins by way of loans among the chief men in the Islands. 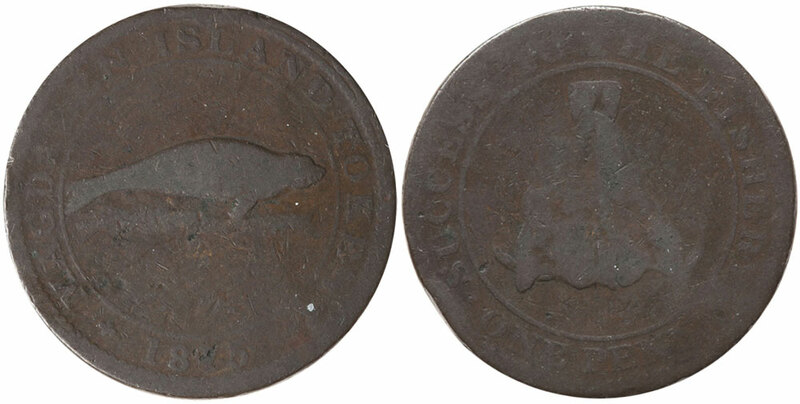 It was his purpose to set up a mint and coin half-pennies as well, but no other coin than the above was ever issued.